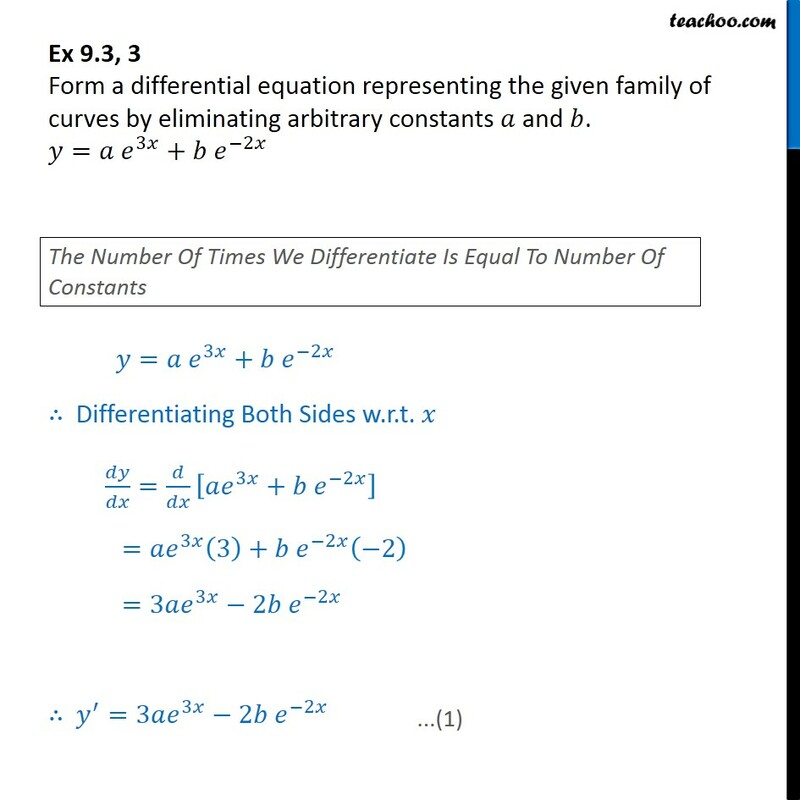 Ex 9.3, 3 Form a differential equation representing the given family of curves by eliminating arbitrary constants and . 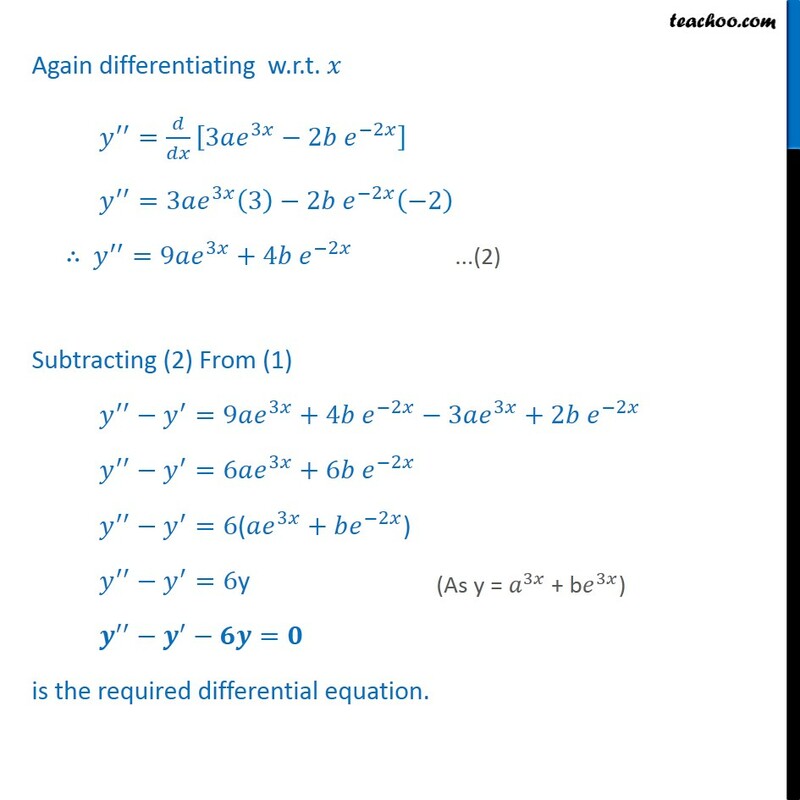 = 3 + 2 = 3 + 2 Differentiating Both Sides w.r.t. = 3 + 2 = 3 3 + 2 2 =3 3 2 2 =3 3 2 2 Again differentiating w.r.t. = 3 3 2 2 =3 3 3 2 2 2 =9 3 +4 2 Subtracting (2) From (1) =9 3 +4 2 3 3 +2 2 =6 3 +6 2 =6( 3 + 2 )	=6y = is the required differential equation.